This year has shown Shorecrest many changes, opportunities, smiles and joys. It has also been one of transition and reflection for those we have lost. Since the tragic loss of the Weiss family - Mitchell, Leslie, Hannah '16 and Ari '20 - last year, several families, with the support of Headmaster Mike Murphy, have worked to determine how best to honor the Weiss Family on the Shorecrest campus. After a year of careful thought and reflection, the group is proud to share with the community plans for the Weiss Family Stage. Within the heart of the campus outside of the new Innovation Center and Community Commons, a new community stage will take shape. The Weiss Family Stage will be a place for the entire community to come together. A venue for formal performances to casual gatherings, music and drama, to hosting Shorecrest traditions like Poetry in the Park, the Weiss Family Stage will be a permanent place of remembrance of all that this remarkable family brought to each of our lives. An outdoor community stage seemed the perfect symbol for the family, celebrating Ari's love of music and performing arts, Hannah's great respect for the outdoors, and the many community contributions of all four members of the Weiss family. Inspired by the legacy of Mitchell, Leslie, Hannah and Ari, this special recognition was made possible by several Shorecrest families through a contribution to the Transform Campaign. 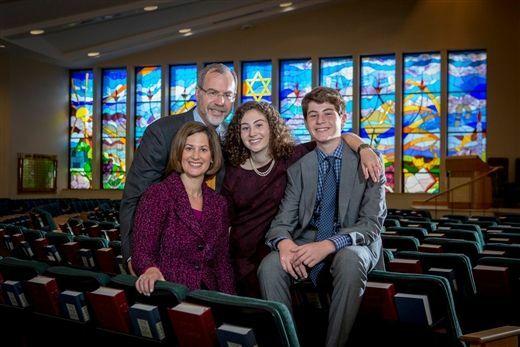 If you would like to join in this special recognition of the Weiss Family through the Transform Campaign, please reach out to the Tralins, Samuelson or Schulman Families or contact Michael Gillis at mgillis@shorecrest.org or 727-456-7514.